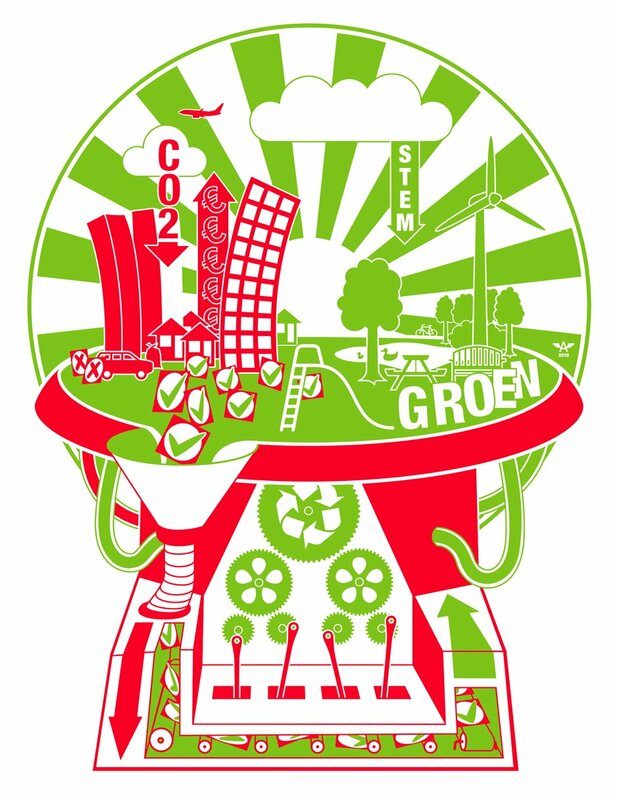 Why vote for GroenLinks? 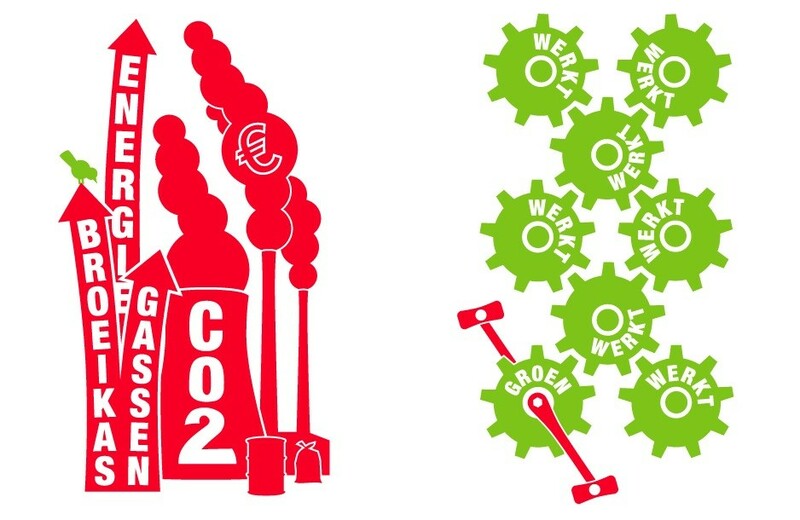 Because "Groen werkt" (green will work). A lineup showing some of the party's viewpoints before and after passing the green machine.